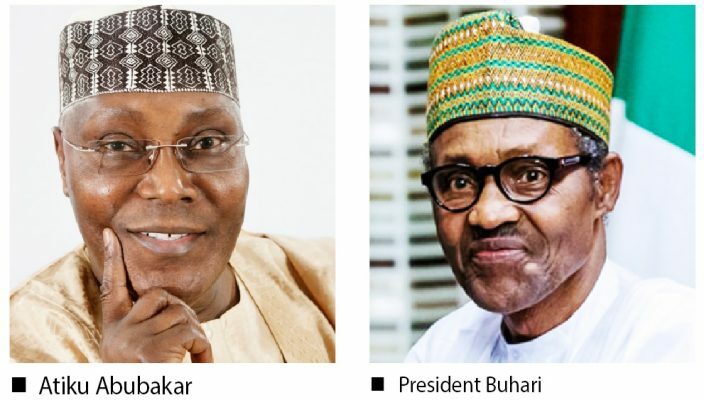 The PDP presidential candidate in Saturday’s election, Atiku Abubakar, has accused President Muhammadu Buhari of instigating violence in Nigeria. Atiku made reference to the statement made by President Buhari in Zamfara on Sunday when he told the people of the state to pray for rains for the crops to grow, “eat and make more trouble”, saying that “nobody can lead Nigeria into another round of civil war again. “This President is preaching violence. We want peace, development and prosperity. We are not ready to fight ourselves again”, he said. He promised to protect the constitution, protect the principle of the rule of law and the sanctity of the judiciary. “I will not interfere with the affairs of the National Assembly. We will not interfere with the affairs of the judiciary. That is our checks and balances”, he said. Atiku, who spoke at the PDP rally at the Adokie Amiesimieke stadium in Port Harcourt, Rivers state, promised to restructure the country so that regions like the South-South can develop according to their own paces. “We must restructure Nigeria so that states like Rivers and the Niger Delta can develop. When we were in office (Obasanjo/Atiku), we started work on the East-West road. That road has been abandoned because PDP was not allowed to continue in office. “APC government has not done anything for the people of Rivers state or the Niger Delta region. When I become President, I will complete the East-West highway,” he said. Also speaking, the former President, Goodluck Jonathan, reminded Nigerians on why they should vote for all the candidates of the PDP in the coming elections, saying that he predicted the present hardship in 2015 but nobody took him serious. “I asked Nigerians in 2015 to choose between going forward and going backward. All the indices of development are not in existent in this government. “We are not making any progress as a country under this government. That is why Nigerians must come out on Saturday and vote Atiku Abubakar as President and all the PDP candidates. “Atiku Abubakar will not discriminate against any section of Nigeria. He will not discriminate between a region that voted him on the ratio of 75% and that which gave him 5%,” he said. On the recent body bag language by the Kaduna state governor, Nasiru El-Rufai, the National Chairman of the PDP, Prince Uche Secondus called on the international community to beam their searchlight on the governor. “That body bag, to me, is a language of a terrorist. That language was made by the Kaduna state governor because APC is afraid, confused and must go. “Buhari has no choice but to go. Buhari is not aware that he has lost the election. Buhari is not aware that his campaign DG is corrupt. He does not know that the white paper published by the panel of inquiry in Port Harcourt indicted him of selling the state’s assets illegally. “Buhari is not aware that the Kano state governor is a ‘Gandollar.’ He is not also aware that the Chief Justice of Nigeria, CJN, has been suspended unjustly. These and more are the reasons why Buhari must go. We must vote him out for Nigeria to work again”, he said. In his solidarity message, Sokoto state governor, Aminu Waziri Tambuwal enjoined Nigerians to ensure that the present government was voted out. “The man there is no more in charge of our country. We must vote out this prison yard type of government. As a country, we don’t need an analogue president. The entire Northwest from Jigawa to Sokoto and many others are now fully for the PDP,” he said. Meanwhile, about 58 governorship candidates from various political parties in Rivers state defected to the PDP and unanimously adopted the Rivers state governor and the PDP governorship candidate for 2019, Nyesom Wike as their sole candidate.